Total Vehicle Tuning based on customer driving styles for Street, Track and AutoX applications. Total MINI & BMW Services, specializing in MINI and BMW repairs, diagnostics, accessory installation. Bumper to Bumper service including Convertible top service. I had a coolant leak since I bought my BMW in September 2018 and have drove it several thousand miles. I took it in to resolve the leak before I went to MN to see my mother who is ill on chemo. I now have a massive leak and my car smokes badly after paying $1800. I will rewrite (out of respect for these kind knowledgeable gentlemen ) after they reassess this problem. What people do as a result of a problem is paramount. Chad and his guys at Total MINI & BMW Services have taken exceptional care of my BMW since I bought it 5 years ago. They are highly professional, extremely fair with their prices and never do more work on my car than necessary. As a female client, Chad and his guys have never taken advantage of my lack of knowledge nor treated me differently. They are a family and women friendly business. Solid guys who are honest and kind that do terrific work. My BMW runs like a charm no matter how much I run it down. Thanks Chad, Trey, George and all the other fellas at Total Mini BMW. Ya'll are the best! Excellent service from Total MINI & BMW Services. Very knowledgeable and great customer service. Got an alignment and tires. Very reasonable prices. I took my BMW to Total Mini & BMW Services and they did an outstanding job! They were very knowledgeable and took care of everything in a timely manor. I highly recommend them because they set the standard all across the board. Truck drives like it's brand new, and I wouldn't take my vehicle anywhere else! It was a happy day when I found out about about Total MINI and BMW Services 4 years ago. Chad has a wealth of knowledge when it comes to repairing customer's Bimmers and also understands the attachment these owners sometimes have with their cars. Last year he moved to a new location that probably tripled the space he worked out of previously. Lots of shops will work on a BMW, but I swear that he has almost the same amount of test equipment that's at a BMW dealership. He recently acquired alignment equipment to serve his customers, who buys an alignment setup for a auto repair shop, hardly anybody. He is a hands on guy who enjoys talking to his customers and really goes out of his way to make sure you are happy with his work. Fair prices, good outcomes, you will not be disappointed. Very professional. We had just gotten new tires put on at Costco and wanted a wheel alignment. Total Mini & BMW Services did the set-up and determined that the alignment was dialed in exactly per factory specs. They did not need to make adjustments and therefore only charged us half their quoted price. The dealership would NEVER have done that. These guys are a pleasure to work with. 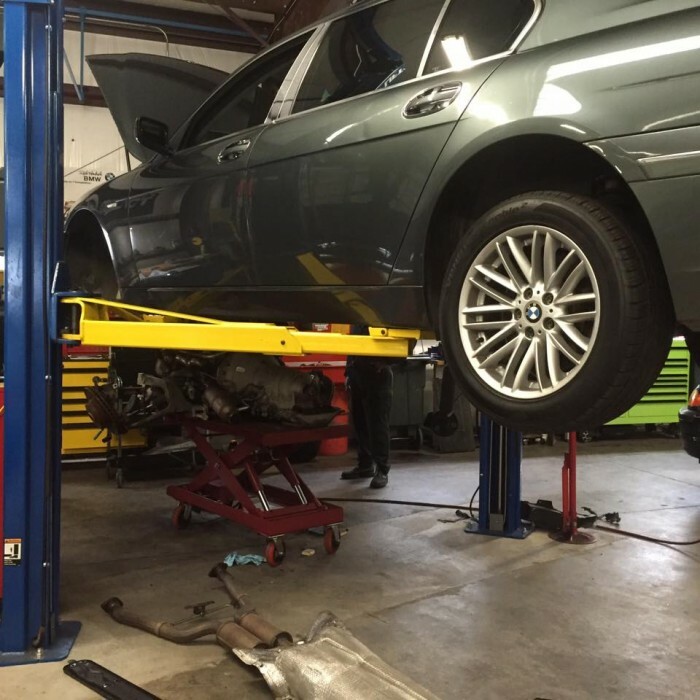 When service is required on our BMW, we'll be back! We highly recommend Total Mini & BMW Services! They are both professional and honest. Chad serviced my 2005 M3 for the 2 years I owned it. His prices are more than fair and turn around time is amazing! He did everything from my inspection 2, valve adjustments to some programming. If I ever get another BMW, I will definitely use Total Mini & BMW Services again! Had to have entire brake and strut job done on my 2002 E39 M5 in a hurry so I could make a meet. 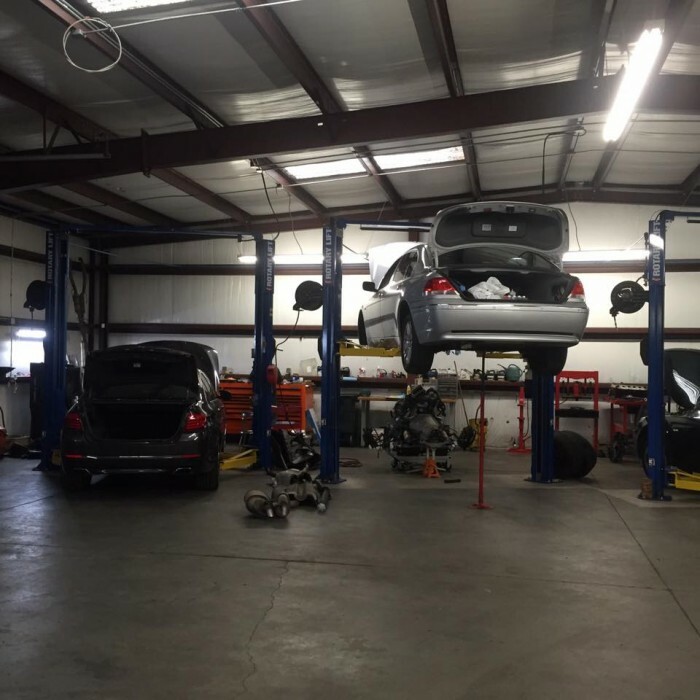 Chad and his crew at Total Mini & BMW Services jumped on the job and finished the work right on time, even the balanced alignment in house. When I got the bill I was shocked by how much work they did and how reasonable the price. We have set up for the shop to install headers and other performance parts soon. The M5 is basically a race car that looks like a sedan. So this is very high praise from a very picky ///M5 owner. This shop is about customer satisfaction and very high quality work. I went to Chad's shop, Total Mini & BMW Services, based on reviews and calling around for initial pricing to look into a leaking coolant issue on my 2004 325i. The closest shops on James Island & Mt. Pleasant quoted $98-$55 for a diagnostic. Chad started with a $31 diagnostic & explained what the test does to find the leak. He got our car back to us the next day even though he was slammed with other BMWs. His shop is the farthest from our home (20 miles one way) but after our pleasant experience with Chad, he will be our exclusive BMW mechanic as well. YOU can tell when a business owner cares. Plus he has a passion for what he does. I happened to get a quick tour of his entire shop and can tell you without a doubt that Chad knows how to fix it all! "Bumper to bumper" as he said. I googled "best BMW shop in Charleston" and Chad's shop, Total Mini & BMW Services, came up. I took my 08 BMW X5 to him for service/brake job. The work was done flawlessly! Chad briefed me on all work and I knew exactly what to expect. His prices are very fair and he does amazing work. I agree ... best BMW shop in Charleston. He will be my exclusive BMW mechanic. I am so glad I found Chad! Very fair prices. My '06 BMW 330i was having an electical problem. Chad almost immediately had it diagnosed. I trust Chad and will return to Total Mini & BMW Services for all my future maintenance and repairs! I have a Z3 BMW that wouldn't start, Chad checked the car out and couldn't find anything at that time, car started working as advertised. He could have charged me for unneeded parts and services that I didn't need, but didn't and didn't charge me hardly anything to check it out. Seems to be a very honest person and would high recommend him and Total Mini & BMW Services to friends and family. I have been in the automotive business for over 20 years. Recently we had an issue with a BMW convertible top. Chad not only did an excellent job at a reasonable price but also kept us informed so that we could update our prospective buyer. We sold the car and told our customer that she should use Chad as her mechanic at Total Mini & BMW Services. Now, I am telling you the same. Great job, Chad. Thanks! Highly recommend Total Mini & BMW Services. Chad has solved problems on my 3 series that no other mechanic have been able to figure out. He's a nice, friendly, family oriented guy. I haven't found a mechanic that I've trusted more and will seriously consider buying my next car around something that Chad recommends. Also saw Subarus in his shop and he was talking about how good of cars these were, so maybe he is branching out. I have an 03 Mini, the AC clutch went out and the only way to repair it is with a new compressor which is a very expensive repair. I check around and was referred to Chad at Total Mini & BMW Services. He had a used clutch assembly that he could put on and saved me money that I did not have to replace the entire compressor, he will be the only person that works on my Mini. Most people don't take the time to post a good review, I am only the second person and I am also posting a good review, that has to say a lot about Chad. Chad's a great guy, had a real tough electrical problem on my '04 BMW 330CIC, Chad really put some time and effort into isolating the problem (as opposed to just starting to replace parts randomly) and charged me a very fair price. Nice guy, and he always picked up the phone when I called. Flexible on a later time of the day to pick-up the car, which is very nice. Will be my exclusive BMW mechanic from here on out!